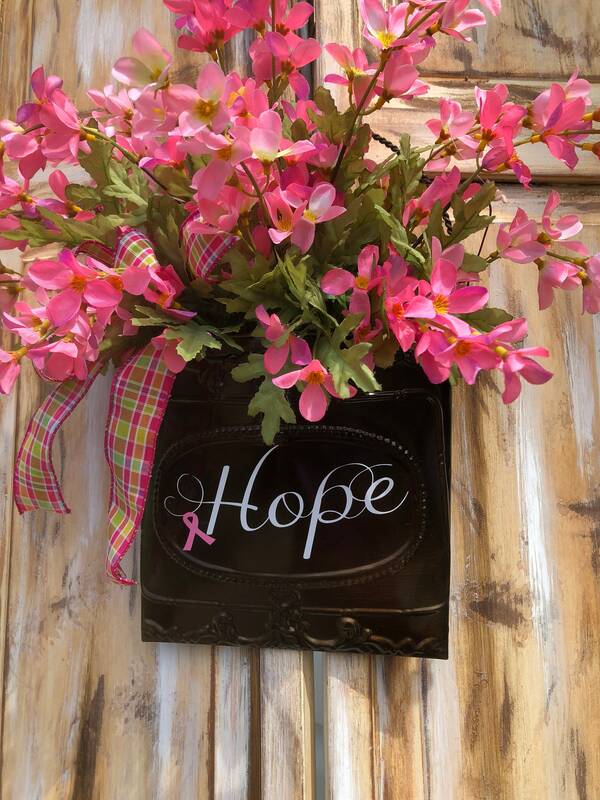 Show your support with a lovely floral basket. Makes the perfect gift. 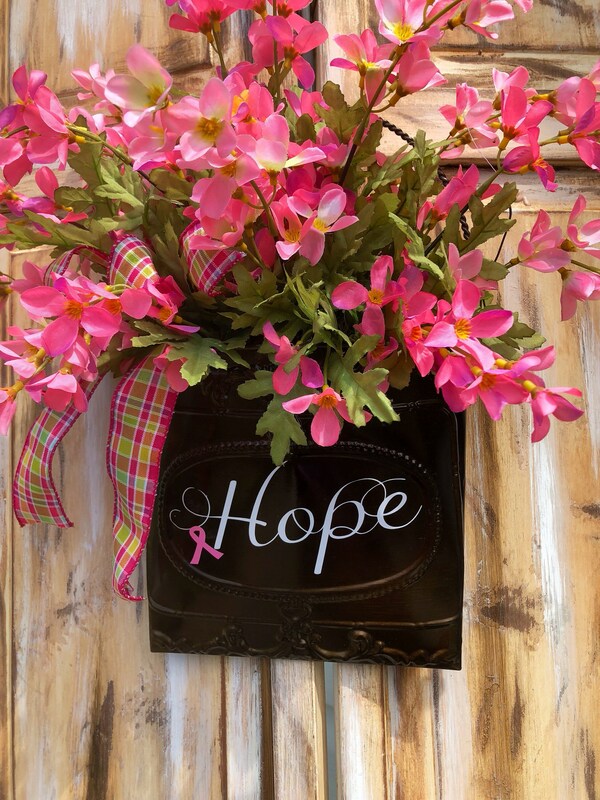 Designed in a metal basket with beautiful pink flowers and grasses popping out. 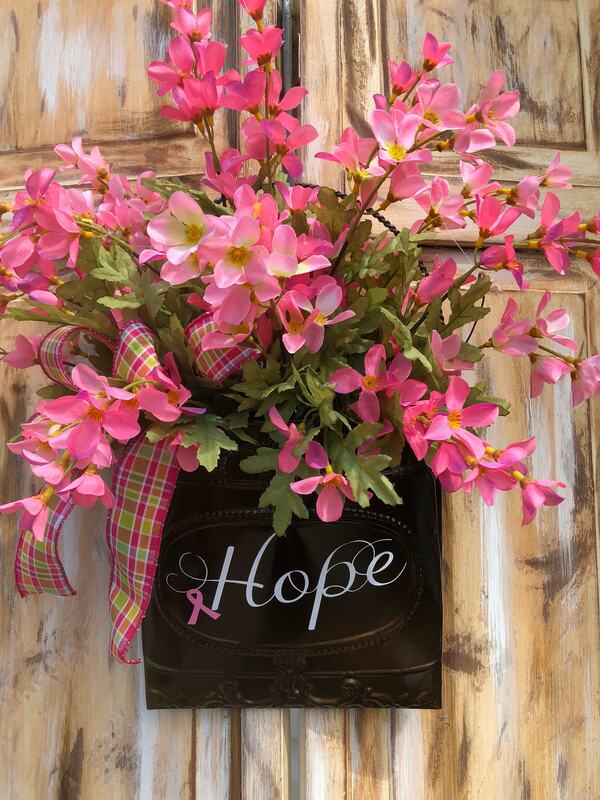 The bow adds a different pop of color to give this basket a nice touch. Fits well between door and storm door. 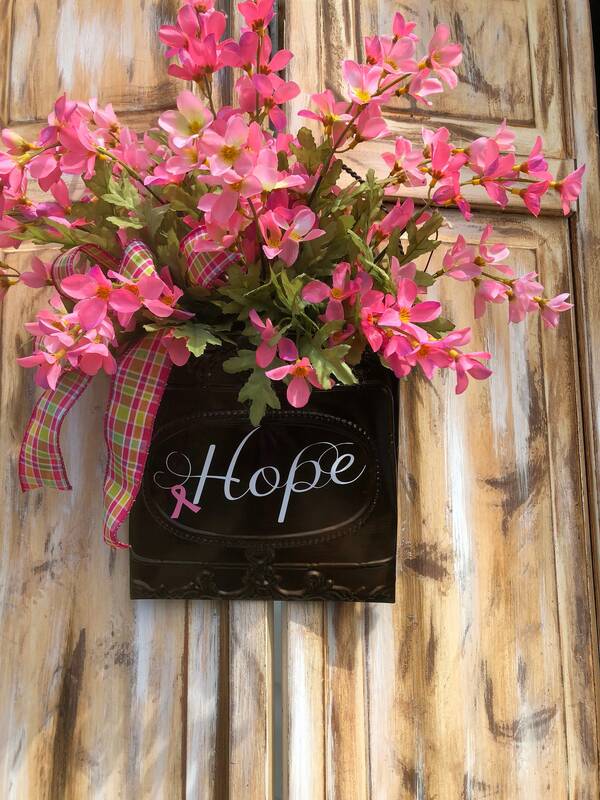 A lovely welcome door hanger metal basket that can be used in many areas of your home or office. 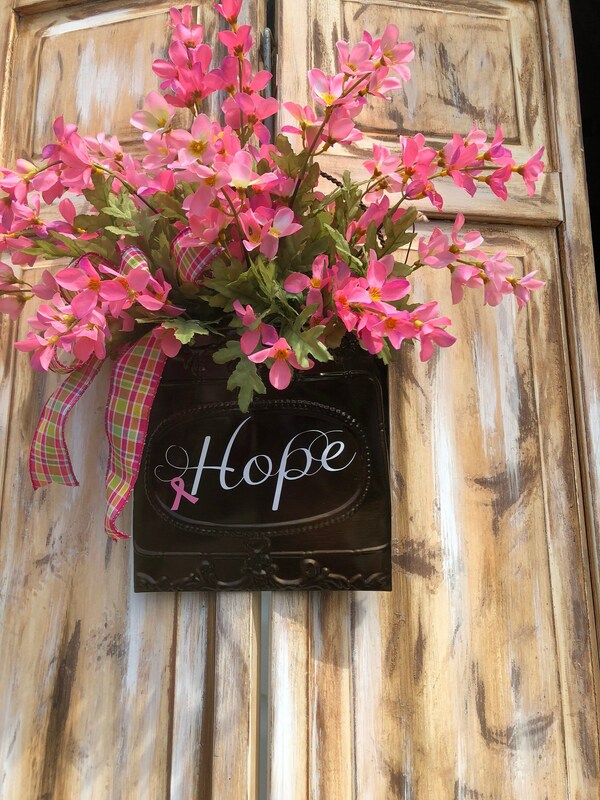 Keep in mind this is wonderful indoors as well when you need a little pop of color! This would make for the perfect gift don't you think? When just a little something will do...perfect for a little splash of color indoors or out. When I first saw the metal baskets my thoughts were that this would be prefect for nursing homes. They have such a small living space. I can't think of a better way to brighten it up than this basket, can you? The love for flowers never fades with age. These are sure to brighten their day they have truly been a big hit locally. They measure approximately 18" tall and 12 inches wide. Need a gift?? We would be happy to ship it to your someone special and enclose a personal note from you.